Aberly, Charles A 19 June 21, 1920 Latrobe PA X 46989214 1865 Substitute, "Charles Eberle"
Abraham, Clark M 22 Elizabeth, PA March 11, 1840 May 23, 1930 Pittsburgh PA X 108461620 1861 recruit; buried in Elizabeth Cemetery; also service with US Signal Corps; commended for coolness under fire; pension info in ACWRD. Action, Thomas A 39 not found 1864 Recruit, no other information available. Adams, William M 27 December 25, 1904 Bedford Co, New Paris PA X 16584402 findagrave inscription data wrong--should be Co. M, not A--clearly visible in gravestone photo. Aiken, Joseph M. A 21 Allegheny Co. PA February 24, 1927 Dayton OH not found Pension info in ACWRD listing. Aikin, David S. C 18 dark 5'7" dark black farmer Perry Twp, Lawrence Co. PA April 29, 1847 August 1, 1901 Roseburg OR X 3885505 No other information found. Aikin, James W C 28 Perry Twp, Lawrence Co. PA Jan 9, 1836 August 5, 1911 Leavenworth KS not found ACWRD lists death at Nat. Mil Home in Leavenworth. Akin, Alexander W. C 21 light 6' 1" grey light farmer Perry Twp, Lawrence Co. PA March 23, 1840 January 11, 1915 Pullman WA X 16049622 Buried in Greenwood Cem, New Castle; promoted to wagoner. Akins, James A 19 fair 5' 7" blue light farmer Canada 1907 not found deserted June 11, 1865; substitute for George Hanna. Alcorn, John W. G 24 1836 June 11, 1866 Mercer Co., Sandy Lake PA 68357861 Findagrave info includes death certificate and record of burial Per ACWRD, discharged for disability, date not stated. Alford, Silas W. F 26 sandy 5' 5" grey auburn shoe-maker Lawrence Co., Pa Penna. Jan 13, 1838 March 25, 1865 Petersburg VA X 111489384 Escape from Rebel Prison Killed at Fort Stedman; also POW at Danville Prison 7-30-1864 to October 10, 1864--escaped; buried in UP Cemetery, Lawrence Co.; American Civil War Research Database info. Allison, Joseph A. G 19 Jan 6, 1862 Beaufort SC Not found death date and location from American Civil War Research database. Altman, Absalom M 37 Westmoreland Co PA Oct 7, 1831? Jan 6, 1893? Dayton OH 52871830 May have lived in Phillipsburg, Kansas based on Findagrave info. Per ACWRD died in Soldier's Home, Dayton, OH; based on unusual name and findagrave info showing birth in Westmoreland Co. where Co. M mustered in, I suspect the findagrave info is correct. Anderson, David B 21 student Philadelphia, Pa. Bart, Lancaaster Co PA West Austintown, OH May 6, 1846 June 10, 1924 Austintown, Mahoning Co. OH 23443067 X Photo for disability; ACWRD data may be incorrect based on findagrave info. ACWRD states he was born in Ireland and died in Buffalo NY. Anderson, John M. E 22 Franklin Co., PA Feb 28, 1843 March 26, 1930 Mercersburg PA 138404147 Per ACWRD, after war lived in Mechanicsburg, PA; pension information regarding Widow Harriett H. Anderson. Andras, Charles B 30 dark 5' 6 1/2" grey dark carpenter Germany not found Deserted 6-11-65 at Tennalbytown, D.C.
Andrew, Elmer R. E 18 October 16, 1924 Tarpon Springs FL not found buried in Rose Hill Cem, Cedar Co, Pioneer Twp., IA per ACWRD data; settled in Mechanicsville, IA after the war. Angell, Aaron B 20 farmer Mercer, Pa. Dec 16, 1861 Beaufort SC not found Died 12-16-61 at Beaufort, S.C.
Anshutes, Fred'k B 20 fair 5' 2 3/4" grey brown lab. 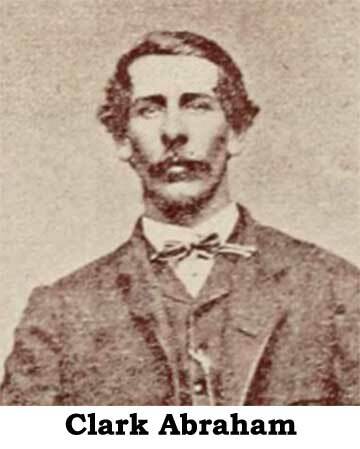 Germany not found Deserted 6-11-65 at Tennalbytown, D.C.
Anthony, Philip F 31 florid 5' 9" dark farmer Kittanning, Armstrong, Co. Armstrong Co., Pa. March 25, 1865 Petersburg VA 54506314 Substitute--killed at Fort Stedman. Buried in Nat Cem, Meade Station, VA per ACWRD. Applegate, Josiah M 30 1831 August 12, 1912 Frankford, Pike Co. MO X 54083257 Per ACWRD, was a POW at Petersburg, VA 7-30-1864; returned 2-23-1865; after the war he lived in Frankford, MO; no service information on gravestone but confident same individual as findagrave info--enlistment age matches birthyear and death location matches MO residence post-war info. Arbaugh, Jacob P. B 28 blacksmith Shenango, Pa. West Middlesex PA Westmoreland Co. pA Sept 3, 1833 March 20, 1920 W. Middlesex PA 134953556 Burial Record Per ACWRD, birth info--death date info is different than pension card listings--March 19, 1921. Archibald, Jas. A. G 30 IA Not found after war lived in Iowa; per ACWRD; transferred from Co. I to G.
Armstrong, Alex W. E 20 Worth Twp, Butler Co., PA Jan 24, 1841 March 28, 1865 Springdale KS not found died before October 15, 1884 reunion picture; Death date and location from ACWRD. 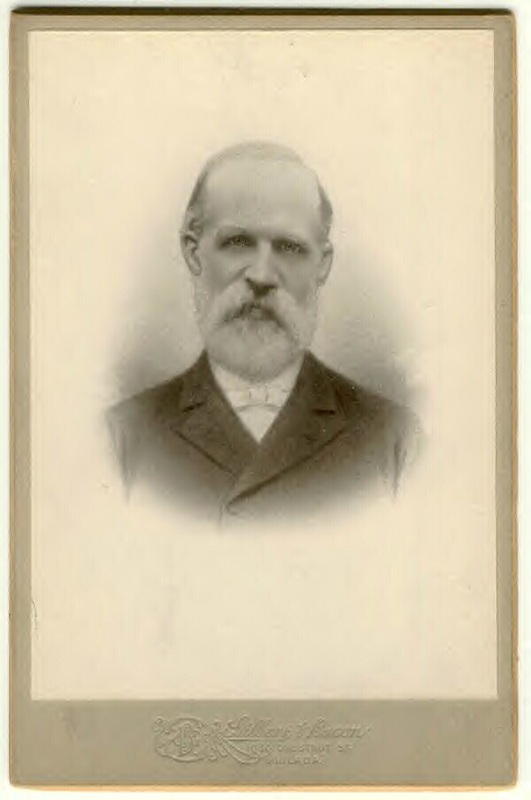 Armstrong, Samuel A. B 28 dark 5' 8" grey dark lab. Pulaksi, Pa. Mercer PA July 31, 1835 March 18, 1922 Nat. Sold Home PA X 104151601 Per ACWRD, pension info and birth date/location. 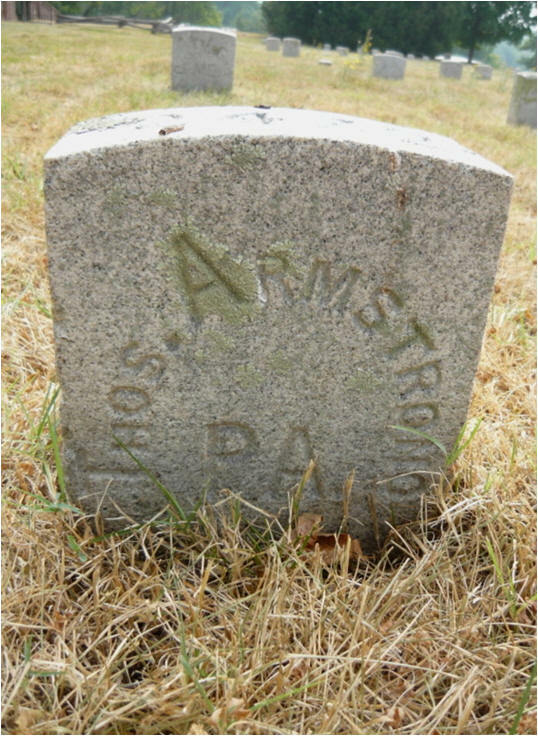 Armstrong, Thomas C 25 light 6' 1" brown brown farmer Worth Twp, PA 1839 May 13, 1864 Spottsylvania VA X 36384838 ACWRD has birth location listed as Worth Twp. Auberry, William P. C 28 fair 6' blue brown farmer Mercer Co. PA Nov 11, 1835 April 7, 1915 Mercer PA 138404678 ACWRD has 1916 as death year, also pension info listed. 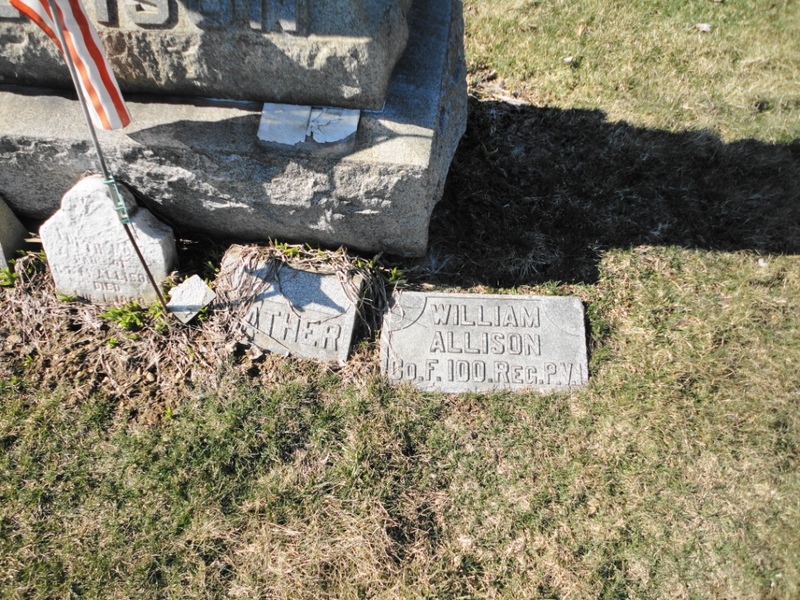 Burial listing indicates name is "William F. Aubeny"
Ault, Joseph R. E 35 Toeman Penna. Sept 20, 1862 MD X 32235742 reported on Oct. 15, 1884 reunion photo, buried in Washington D.C.